The large majority of pharmacies are honest businesses, but some have been responsible for deadly acts of fraud. Kansas City pharmacist Robert Courtney was sentenced to 30 years for shorting people's prescriptions over a nine-year period. It's likely, though difficult to prove, that people died as a result. More recently, the New England Compounding Center used unsafe procedures and outdated ingredients in its medications. Contamination resulted in an outbreak of fungal meningitis which killed 64 people. Fake drugs are another form of fraud. Several Canadian drug companies admitted to selling misbranded and counterfeit drugs on a large scale in the United States. Many medicines command high prices, so there's a lot of money to be made by selling substitutes. The fakes often don't work or even have toxic effects. Most people put a high level of trust in pharmacies. The response to medications varies from one case to another, so it's hard to know for sure when a drug isn't working. The terminology is beyond the average patient's grasp,and the complexities of the insurance system leave patients uncertain what they're paying for. Fraud can go undetected for a long time, and meanwhile people suffer from improper treatment. There ought to be a better way to keep tabs on what pharmacies are selling,and there is. Blockchain supply chain tracking allows inspection of what's going in and what's coming out at each step, making discrepancies hard to hide. Forbes cites the integrity and provenance of the drug supply chain as an important use case for blockchains. Digitally signed logs establish a chain of custody, and cryptographic keys can demonstrate ownership of a drug's source. Quality control is critical in medicine, so it's essential to make sure not only that a factory, distributor, or pharmacy received the right supplies, but that they came from the right source in a timely manner. Currently, chasing down the supply chain is a nearly impossible task. The paper trail consists of receipts in many different hands. They aren't public records; a court order is necessary to acquire them for litigation. The blockchain approach puts all the information in one place and makes it available to all the involved parties. For tracking to work, all participants in the supply chain have to record their transactions in the blockchain. They all have a copy of the blockchain,and when one copy is updated, the others are updated to match. An unauthorized update won't be accepted. No participant can remove records once they're approved. Anyone who's intent on fraud can't make transactions disappear. In traditional supply chains, each participant's transactions may be in a different accounting system, with a different format for the records. A supply chain blockchain records transactions in a uniform format, making it easy to compare data at each step. A blockchain for this purpose is permissioned rather than public. It isn't necessarily available for general public access, and only authorized participants can add records to it. Each participant's identity is authenticated so that impostors can't sneak in. The records a participant adds are digitally signed with its private key. This confirms the creator's identity. It also makes it impossible for the creator to pretend later on that it wasn't responsible for its records. An improperly signed record won't get onto the blockchain. A rogue participant could try to add bogus records to its own copy, but the other nodes will detect an invalid signature and refuse the addition. Blockchains work by consensus, so records without a valid signature will be purged from the accepted version. A cardinal rule of blockchains is that valid records are never deleted or altered. A correction can supersede an erroneous record, but the old one remains in place. It's impossible to erase a transaction's history. An attempt to modify someone else's records would invalidate their signatures, marking the change as invalid. If participants attempt to overwrite their own records, that violates the immutability rule, so the other nodes won't accept the change. Even collusion by two or three parties wouldn't work. However, if one party managed to control a majority of the nodes, it might be able to purge records.Control by a single party is a situation which blockchains need to avoid. Broad participation is the best way to accomplish that. Smart contracts, software which runs on the blockchain, can conduct automated audits. They can look for anomalies, such as production exceeding available supplies, and issue an alert. When the participants are honest, most discrepancies will be the result of bookkeeping errors. Learning about them is worthwhile in itself. If a pharmacy is diluting its drugs and selling more than should be physically possible, the smart contract will report it, and the pharmacy will be in a tough spot. A blockchain won't catch every deceptive practice. It's only as good as the information it gets. Collusion and manipulation of the records can conceal some inconsistencies. But when the output from one party has to match what the next one receives, deception is significantly harder. Data analytics can discover signs of fraud which aren't as obvious as contradictory numbers. A sudden change in a pattern of acquisition, with no apparent cause to explain it, may indicate trouble. Smart contracts can run analyses on a regular basis and report patterns which merit a closer look. 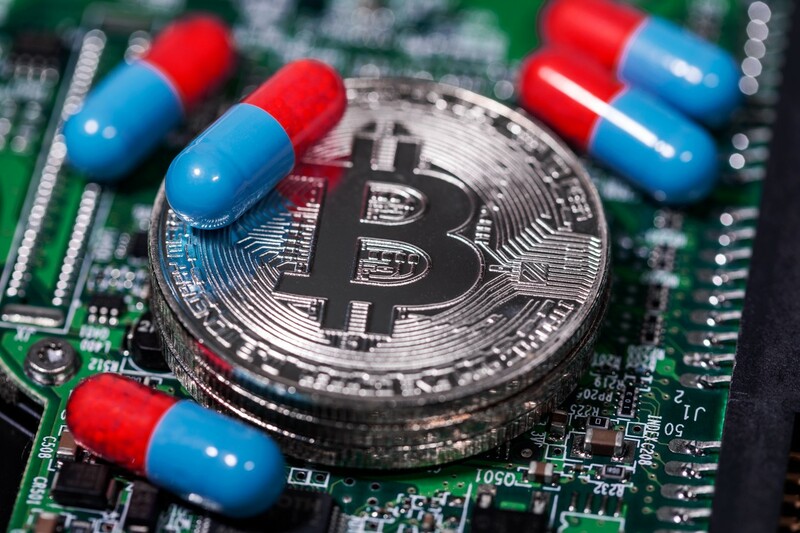 When blockchain verification becomes a standard part of the pharmaceutical supply chain, fraudulent practices will be less common, and more of the attempts will be caught. It will take time for this to become a reality. Broadly accepted standards will have to emerge. Software to interface between accounting systems and the blockchain will be necessary. Companies around the world will need to get involved. Once the technology reaches a critical mass, companies will need to join in order to preserve their reputation. At this point, blockchain auditing of supply chains will change from a cutting-edge technology to a necessity of doing business. The benefits will be measured in lives saved.